Storm damage, improper installation, and years of wear and tear can leave your siding in need of repairs. 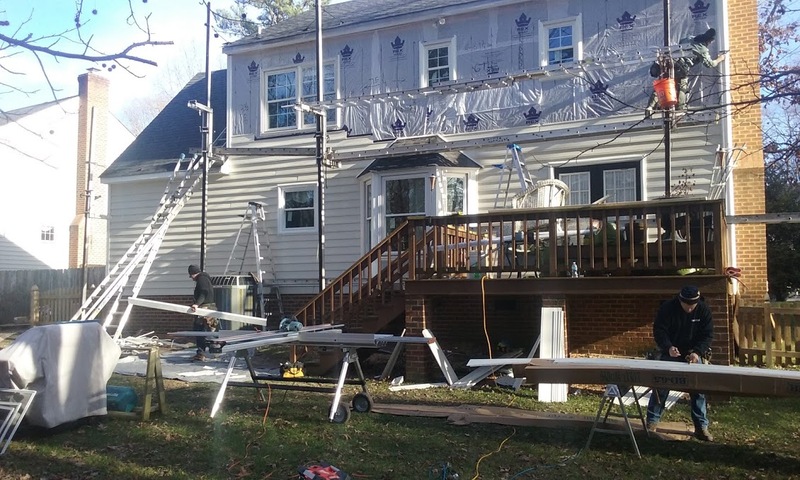 So if you're looking for a reliable siding contractor in Richmond, VA and the Tri Cities area to fix your broken siding, you can turn to Advanced Home Exteriors for help. We offer dependable siding repair services for home and business owners alike, and we're ready to show you what sets our team apart. At Advanced Home Exteriors, we approach each and every job we take on with precision and care. We take the time to offer thorough repair services designed to get your siding looking like new. And because we value our customers, we go the extra mile to exceed your expectations, no matter the size of the scope of the project at hand. And we pledge to use only quality materials so that you can get the peace of mind you deserve. If you're looking for an honest and dependable siding contractor turn to the pros at Advanced Home Exteriors. Our staff can provide a thorough assessment of your situation to determine exactly what type of repair is needed.